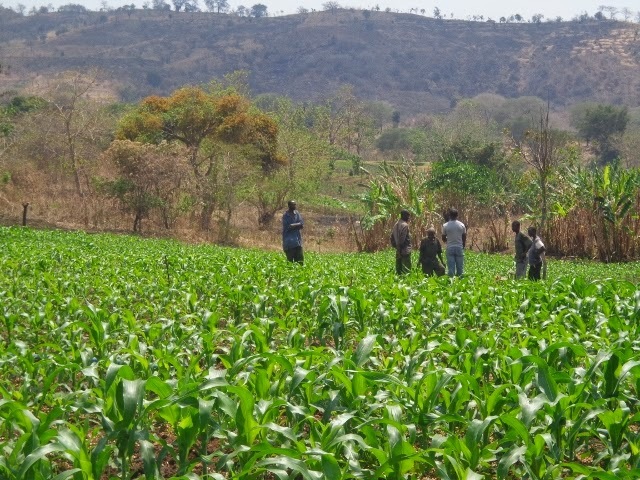 Maize on irrigation at Chifuchambewa in Salima promises more food for the community at a time when scarcity is the norm. The primary harvest was below expectations due to sporadic rains late in the growing season. Irrigation has been limited in the village until recently when AWP began teaching farmers how to pump water from their well springs. In the distance, deep in the valley, the Lipimbe River flows by, untapped for irrigation. Farmers are looking for ways to use their new pumps to draw water up the hillside.